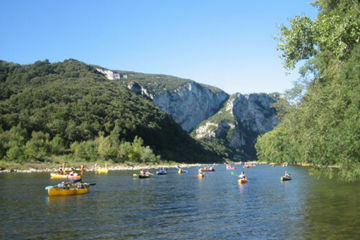 Come to do a beautiful canoe or kayak trip on the Ardèche in Ruoms near Vallon Pont d'Arc. The Argonautes team welcomes you to its canoe base located in Ruoms on the banks of the River Ardeche. 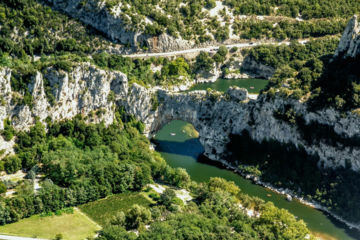 With family or friends, alone or in groups, come and join us in Ruoms and leave for an unforgettable adventure in the heart of a preserved and wild nature in the famous Gorges de l'Ardèche. We are waiting for you !